This is placing an enormous amount of pressure on organisations of all sizes to ensure their customer engagement capabilities are at the forefront of their business strategies. 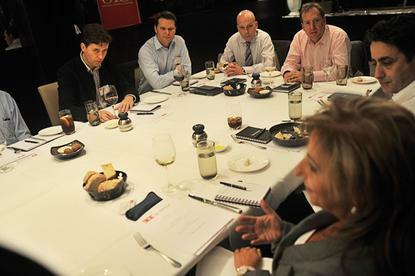 Last month, IT leaders from several industries gathered for a roundtable luncheon to discuss how their contact centre will evolve in the future. The event was sponsored by Genesys. All attendees agreed that deploying integrated or omni-channel contact centres – that integrate phone and email services with online web chat, biometrics and social media functions – is vital even when many customers prefer to speak to someone over the phone. “It [providing omni-channel services] is a pre-requisite,” says Farid Jarrar, CIO at outsourced contact centre specialist, Stellar. Omni-channel services are also crucial for business process outsourcing firm, Serco Citizen Services, says technology director, Rajdeep Singh. The outsourced service provider runs a mix of single, multi and omni-channel services using on-premise, managed and virtual contact centre technologies. Voice is still the predominant channel but every year, web chat take up has been significant, he says. “In the last few years, omni-channel has significantly matured, specifically with virtual contact centre solutions and their proven integration capabilities with generic CRM/customer experience, workflow applications and available API architectures,” he says. “Our view for future contact centre growth is that customer experience will continue to improve with more individual personalisation leveraging web self-service, web chat, virtual assistants, social, predictive data analytics and mobile technology. "In future, contact centres will be increasingly able to cater to various non-traditional services like medical examinations using biometrics and similar smart technologies,” he predicts. But right now, customers are seeing the value in omni-channel services and providing an excellent customer experience is critical for every business to grow and sustain, he says. “In earlier days, good customer services was primarily the focus of the retail, banking and travel industries but now has been adopted more broadly as businesses definitely see the commercial value of their investment,” he says. One CIO adds that providing multi-channel services is the only way of targeting customers' needs and tracking success. “Small mistakes today give people way too many other places to take their business,” he says. Customers are expecting to be supported through more than just voice, email or even chat channels these days, says Johan Bruce, senior manager, solutions consulting at Genesys Australia and New Zealand. Bruce cites Dimension Data’s 2015 Global Contact Centre Benchmarking report, which found that digital interactions account for more than 35 per cent of all contact centre interactions. At the current rate, they will overtake voice in two years. Further, the research found that gen Ys prefer to interact with companies first through web chat and social media while the option of calling in to talk to some was last on their preferred list of interaction channels. “That effectively means that a growing number of customers are trying to service themselves by either researching the products or services they are interested in online, or are scouring the website or related social forums looking for answers to their questions. “It’s only when they have exhausted their efforts in trying to find an answer themselves, that they reach for the phone and call into the contact centre. This is what makes organisations that have implemented a true omni-channel approach stand out from their counterparts,” he says. Bruce says that in a true omni-channel environment, the context of what a customer has tried to achieve or has been doing on a previous channel is taken into account. It is leveraged to provide a seamless service when a customer migrates channels, or is used to provide information and insights to the routing engine and agent if the self-service channel has failed. Josephine Vizzari, director, mid-market and cloud at Genesys Australia and New Zealand, adds that self-service is set to be an increasing area of investment over the next three years. “Digital technologies are enabling customers to access businesses at any time and from any place – something which businesses need to ensure they manage in a seamless fashion,” said Vizzari. “Ensuring personalisation remains in the experience on these multiple channels is where businesses need to focus. This is where the importance of contextual customer profiling comes into play,” she says. Customers expect organisations to provide a means to help them find their own answers, be that through web-based knowledge engines, possibly even front-ended by avatars, or through cognitive systems like IBM’s Watson, adds Bruce. “They’re also expecting contact centres to provide them assistance in their channel of choice,” he says. Attendees expected ‘avatars’ to become more prevalent in the contact centre environment. Genesys’ Bruce says avatars will be a front end to advancing knowledge engines that are becoming more accurate in analysing customer questions and providing correct responses by using insights based on a customer’s history of interaction across multiple channels. “The bigger play here is big data and the ability for organisations to analyse customer data to provide personalised and accurate responses and also to anticipate the customer’s needs,” he says. Virtual assistants/avatars will become part of our daily lives as voice and data and predictive analytics technologies mature, says Serco Citizen Services’ Singh. “I also believe that avatars will add good value, providing us with an excellent personalised service experience,” he says. Most attendees agree that moving contact centre services into the cloud is useful if businesses need to leverage more flexible commercial models and don’t want to maintain skilled support staff for technologies that are not core competencies. Gildas Bachelier, CIO, onsite services, at food services and facilities management company, Sodexo, says cloud has been a part of his company’s strategy for years and its contact centre would also benefit from a flexible pay-as-you-go model. “Also, as we grow, cloud computing really helps deliver services quicker and better. And as a global company serving clients worldwide, using cloud also means our solutions can be easily shared and become more consistent across locations,” he says. But Stellar has not moved contact centre requirements to the cloud as it runs a multi-tenanted environment with stringent restrictions around security and confidentiality, says Jarrar.